High fashion meets high tech. Introducing the world's first digital clutch by award-winning designer Vivienne Tam. 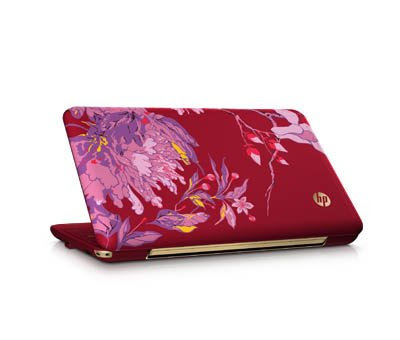 Featuring her peony-inspired design in vivid shades of violet and red from her Spring 2009 collection, this HP Mini coordinates perfectly with stunning Vivienne Tam pieces!